Hello from a bright, sun-filled day in Chicagoland! I was just out poking in my little garden, and I thought, "Hey! 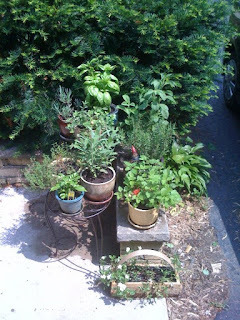 Everyone should know about herb gardens!" I began this little garden almost 2 years ago with a few plants from the local Lowe's store. I started off with Lavender, Rosemary, Oregano, and Peppermint. Though, the peppermint did not fair well and died quickly, as did my first Rosemary plant. This taught me that you should NEVER plant anything in late February or early March, especially if there is a chance of frost afterwards. Rapidly changing temperatures are killer for nearly any plant, despite its tolerance level. 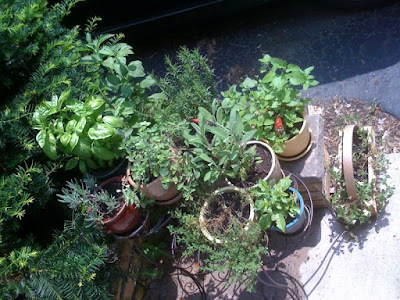 Over the years, I've grown the garden to include Rosemary, Lavender, Sage, Basil, Thyme, Lemon Balm, Citronella Geranium, Catnip, a Juniper Bonsai tree, Cactus, Oregano, and a sweet little Habanero Pepper plant. I think herb gardens, especially for any crafty, witchy person - or anyone that just loves fresh kitchen ingredients - should always be grown in pots. A container garden can be quite beautiful, especially if you take a bit of time and care in selecting your pots. Also, with all the poisons that most people spray or sprinkle on their lawns to get rid of pests and weeds, a container garden ensures that you're not eating those poisons by eliminating runoff from the rest of the lawn. I like to have fresh ingredients year round, and when the Wheel turns to late Fall and Winter, I can just bring my garden inside. Sure, it doesn't grow as quickly, but it beats watching all your hard work die back, hoping that your little herbs will come back next year. To make your indoor container garden a bit more comfortable through the winter, you can buy what's known as a green light or a grow light. If you clicked the links, you know that grow lights can range from a $5 bulb to a rather expensive stand-alone fixture. I use a bulb and stick the plants either in the storage shed or in my altar room. Watering goes down to maybe once a week, sometimes twice if your indoor air is really dry. Selecting herbs is REALLY easy, but a lot of people stress out when they get to the gardening center of their local home superstore. If you're like me, most of your herbs will serve double-duty. Like, for example, I love to have my Rosemary at the ready for when I'm making fish or a nice roast, but I also like to have some fresh Rosemary whenever I'm blessing something with loving energy, or any of Rosemary's other myriad uses. For this reason, I recommend purchasing hardy, multipurpose herbs. Sure, you could grow Blood Root for healing, but how often are you really going to use it? (And it's poisonous.....so....yeah) Instead, grow some nice, hot peppers. Peppers improve circulation, and add some spice to spellcraft as well (especially when working with curandero-craft). They can incite passion and lust just as easily as cinnamon, but are much easier to grow. Downside, they're not really a plant you want/can keep year round. Some questions to consider: What flavors do you like? What is your area's growing season? What plants are native to your area, or similar areas? What craft herbs would you honestly use the most of? Two resources I use every single time I'm selecting new herbs for the garden are Bonnie Plants website and Scott Cunningham's Encyclopedia of Magical Herbs. The Bonnie company distributes plants in peat pots with can be planted in the ground, and make the plant's transition much easier (as well as add some yummy food for the plant as it's broken down). They have a section on each of the herbs and vegetables they sell identifying all the problems you could run into with that plant, tips and tricks for growing, watering recommendations, and a host of other things. I always keep a copy of each of these pages, along with the Cunningham information, in my BOS' herb section. I hope you visit your local home store and select your first, or next, herb! 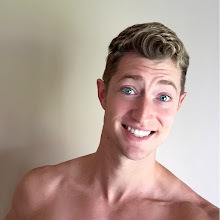 If you have any questions about growing, I'd love to try and answer them! Garden Blessings!